It’s the end of a long day, after what has been a very intense week. You’re looking forward to going home and relaxing, and forgetting about all the stress and dread of what you had to endure. On the tube you’re constantly counting down the number of stops left until you hop off, and on the walk home you dream of a warm cup of tea and sitting on the sofa to relax. Perhaps to your favourite show, or a re-run of a movie you really like. As you walk through the door you realise that the long anticipated solace and comfort you were dreaming of won’t materialise itself. What you see is enough to make your heart sink, and to fill you with anxiety. Everywhere you look there is no space, your house is filled with the accumulated clutter of a lifetime. There are boxes under beds, on couches, at the top of cupboards, loose books everywhere and wherever you look it doesn’t seem to end. OK, perhaps that is a little bit of an over-dramatic rendition of a cluttered home and it’s effect on you. Or is it? The reality is that we do appreciate clean, tidy and spacious rooms to spend our time in. It lifts a pressure off of us that would otherwise go ignored. So much so that there are people who dedicate their lives to helping others make room in their home. Not only are there Professional Declutterers, but they even have their own professional organisation – Association of Professional Declutterers and Organisers. One such person we came across, even if not in the UK (this is an international phenomenon), is Mafalda Pedra Soares. She is a professional Life Coach and professional organiser who offers a “Home Coaching” service to help people declutter their homes in order to be in control of the environment they live in. Mafalda will coach people, to step by step, reorganise the space that they have long desired for, and will encourage them to adopt the same approach in decluttering their own lives. It works beautifully! Here at LOVESPACE we’ve always thought decluttering spaces would not only be good from an aesthetic perspective, but more importantly from a psychological and emotional perspective, and we were thrilled to have come across Mafalda Pedra Soares and her Home Coaching service this year, as we felt it very neatly illustrated the need for people to Declutter their homes, and even their modernised lifestyles. 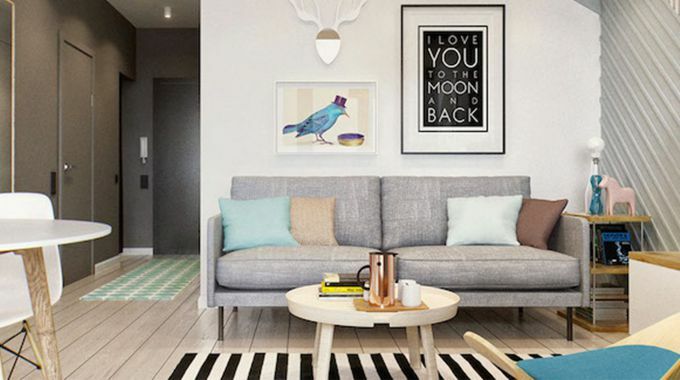 If you’re already a convert by the time you finish reading this post, then head on over to the LOVESPACE website for a free quotation. On there you’ll be able to use our handy Start Storing tool to book your pick up, and we’ll come and collect your clutter as soon as tomorrow! If it does turn out you want something back, we make it super easy for you to order one box back at a time, you can select from our range of available timeslots, and you can even track your driver on the way to you. You’re only a few clicks away from a clean, cosy home. Start now.